We check over 450 stores daily and we last saw this product for $3,055 at Saks Fifth Avenue. Crafted from satin, this coffred rectangle clutch from Judith Leiber is a must-have for your evening accessories wardrobe. 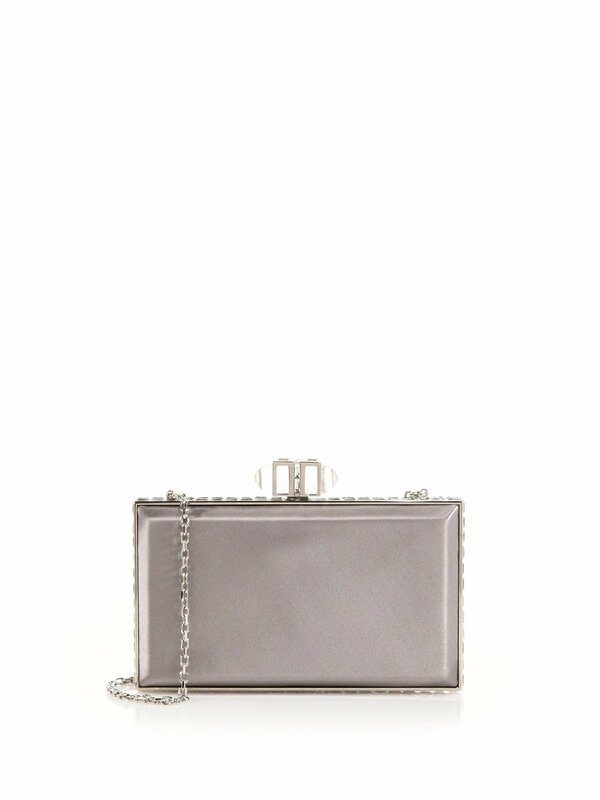 In silver, this sleek bag is accented with a jewel-embellished clasp and removable chain strap. Perfect for cocktail hour, use the spacious inside to store your lipstick, keys and card.